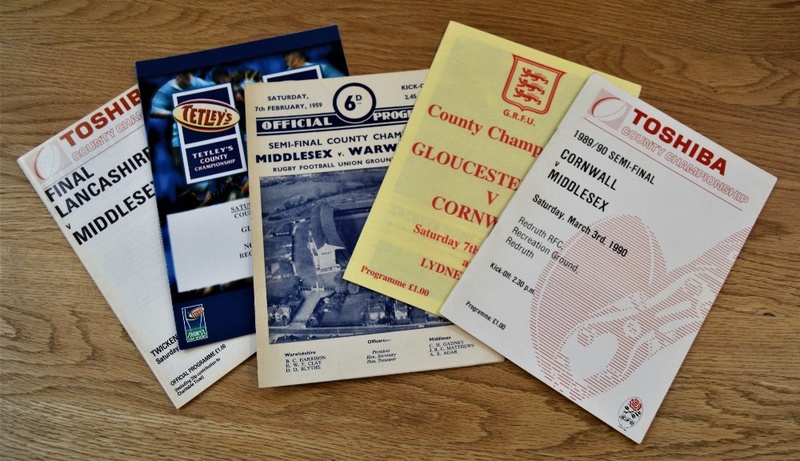 English County Championship Rugby Programmes (5): Middlesex v Warwickshire (Semi-final, Twickenham), 1959; v Cornwall (Semi-final, Redruth), and v Lancashire (Final, Twickenham), both 1990. 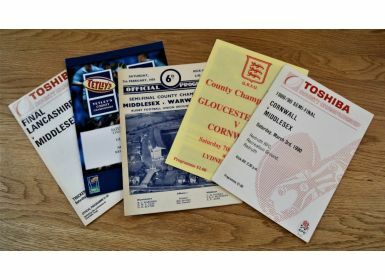 Gloucestershire v Northumberland (Semi-final), 2004 and v Cornwall, 2005 (both Lydney). VG.